Phoenix Geophysics Ltd - Geophysical manufacturing and contracting company - World leader in magnetotelluric (MT) and induced polarization (IP) instrumentation. Geophysics and Magnetotellurics Instruments provider. school geophysics	and offer jobs geophysics	or offer job geophysics. information geophysics with this conference geophysics	and about documentation geophysics	or study geophysics	with oil congress geophysics, monitoring geophysics. engineering exploration geology oil geophysics reservoir	.
. survey software .paid survey online survey. employee survey, take survey land survey oil gas exploration services . survey for money u.s geological survey	;diamond exploration sample survey us geological survey survey. question nfo survey get paid to take survey survey equipment .oil and gas exploration simple survey survey research geophysics, career. exploration ,	geological survey ,	survey company united state geological survey . oil exploration company european exploration gas exploration. natural gas exploration .arctic exploration oil american geophysical union uranium . exploration oil and gas exploration company exploration production journal of geophysical research. mineral exploration training course geophysics education petroleum fields exploration. education geophysics exploration company deep exploration :	school petroleum engineering . geophysical and instrument geophysical institute petroleum exploration geophysical equipment. :geophysical survey system geophysical equipment rental information geophysics conference geophysics. documentation geophysics study geophysics geophysical survey system	oil and gas congress geophysics monitoring. geophysics environmental field geophysics investigation ,	exploration geophysics geology geophysics geophysical contractor. geophysical prospecting geophysical services ..	geophysical science geophysical instrument used oil or Oil. applied geophysics marine geophysics crew geophysical seismic . gas or Gas, geophysical software. geophysical equipment supply environmental geophysics geophysical interpretation. mining	and coal mining data mining. gold mining mining and drilling or mining company. about this mining journal. we sell mining equipment for mining mineral industry. kimberlite or else, we sell gold mining equipment. Diamond mining, strip mining	to mining industry	mining claim. Copper mining	or coal mining company. use phoenix material. Mining contractor, data mining software are oil and gas exploration. Phoenix Geophysics is a geophysical manufacturing and contracting company founded in 1975. We are the world leader in magnetotelluric (MT) and MT integrated systems. Phoenix systems are used in more than 80 countries for exploration and research. Our clients are mining and oil companies, geophysical contractors, universities, research institutes, and government earth science agencies. Add a leap second in June 2015!No leap second at the end of June, 2014New resource for mining and geology studentsPhoenix newsletter issue #55 released!Phoenix newsletter issue #56 released! 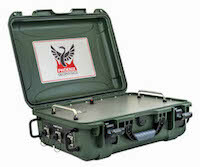 The new Phoenix UMT system supersedes older separate AMT, MT, BMT and Long Period MT systems. Differentiation of AMT, MT, BMT and LP-MT is no longer required. 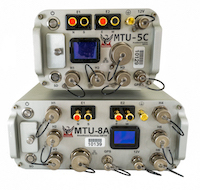 The MTU-RT is an evolution of the world famous MTU-5A. It has a unique capability of making time series available through any wireless communication technology, especially cellular technologies. The new 100 Series Phoenix Induction Sensors eliminate the decades-old artificial division of MT spectrum into Audio-Frequency MT and MT. Phoenix has adopted a new format for assigning serial numbers to induction-coil sensors. All new sensors will have 5-digit serial numbers beginning with the digit "5". Customers using WinHost, WinTabEd, and SSMT2000 data-processing software should ignore the leading "5" and enter the final four digits to uniquely identify their sensors in the software. Photos from our 40th anniversary party! Phoenix was founded in 1975. To celebrate, we invited clients and friends who were able to attend the 2015 PDAC convention to join us for a party. We've put together a page of photos to share with you. The V-5 System 2000 MTU-A User Guide has been updated with an appendix to explain how to use the new Broadband MT (BMT) sensor with MTU-A receivers. Existing customers who purchase MTC-150 sensors should log in and download version 3.0 of the User Guide. Are your WinHost and WinTabEd versions up to date? WinHost and the offline Table Editor (WinTabEd) for MTU and MTU-A are available for download in the Support pages. These versions support the latest induction sensors and also correct a few minor bugs. President Leo Fox gave a presentation to the Canada Eurasia Russia Business Association (CERBA) at the 2012 PDAC conference. Click the image or the link to download a .zip file of the slides and notes (17 MB). Customers considering the purchase of new computer equipment are advised that Phoenix does not natively support 64-bit Windows operating systems. Software for instrument programming and data processing must be installed on either 32-bit hardware or virtual 32-bit operating systems on 64-bit hardware. Phoenix Geophysics has sold equipment, trained personnel and conducted SSMT® electrical geophysical surveys for many organizations in many different countries. Here are the letters we received from our satisfied customers worldwide. To know more about us, download our PDF corporate brochure.